Join The String Contingent for an exclusive acoustic concert experience in Sydney as part of our album release concert series 'Acoustic 50/25/5'. There are 50 seats per show, $25 tickets, in 5 capital cities. 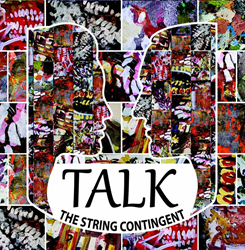 This is your chance to hear our new album 'Talk' performed live in a specially selected intimate space before The String Contingent take an extended break from touring. Bookings are essential, and tickets are strictly limited, so book quickly to avoid disappointment.